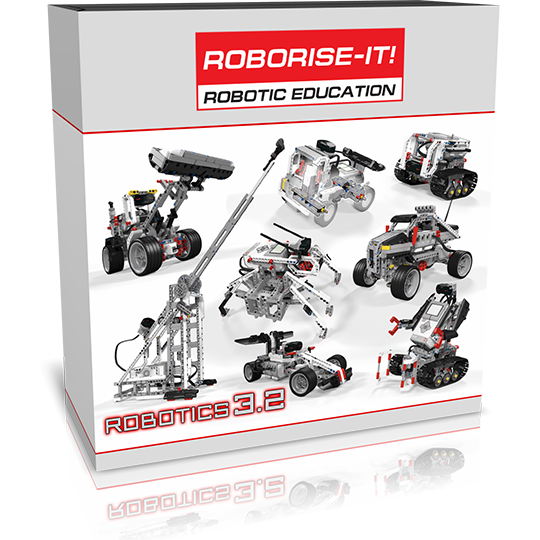 Robotics 3.2 provides you opportunity to show your students the more complex robots. 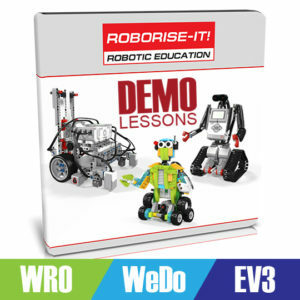 In this course we included the robots on articulated chassis, on 4×4 automobile chassis, even the walking robot is presented. 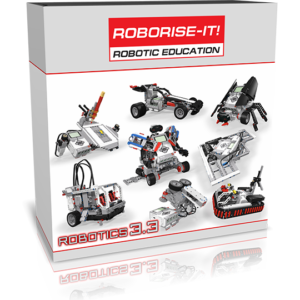 Your students will investigate the mechanisms and construction designs that may be usefull for preparing to robotics competitions. 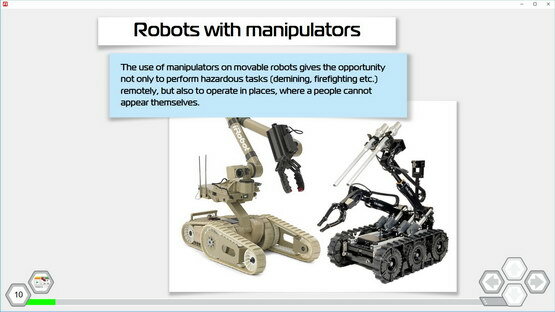 Remote control are used in all robots. 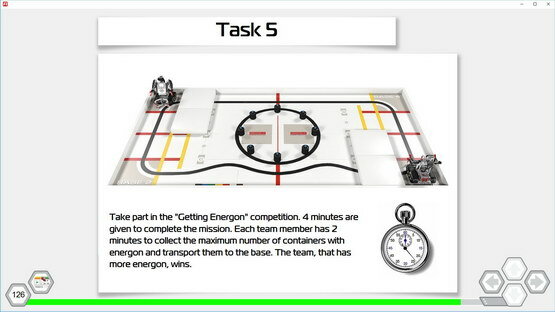 This makes the testing more flexible and cognitive. 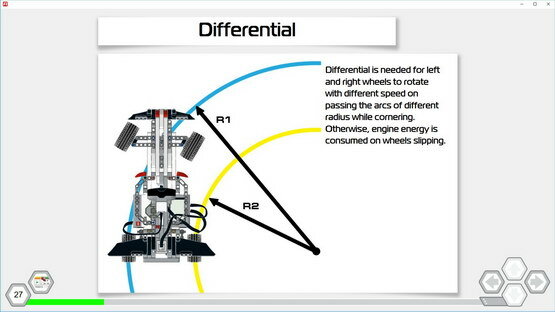 Let your students check what is the differential and what advantages it gives wheeled robots. 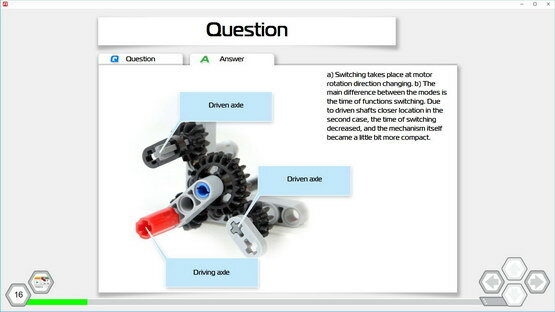 Main functions of the differential gear and it usage are in this lesson. 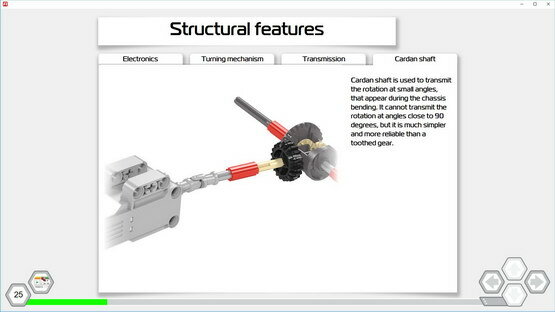 Direct comparison od blocked and unblocked differential will show the students how it work. 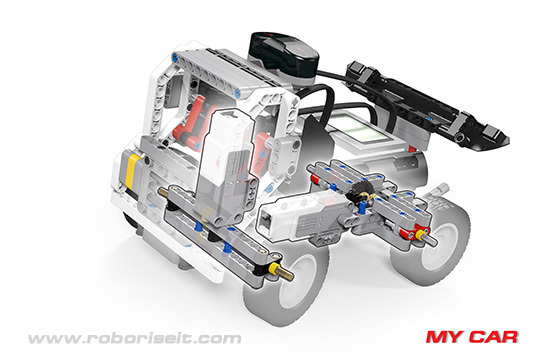 Mindstorm robots are limited in number of sensors and motors that can be used in single robot. 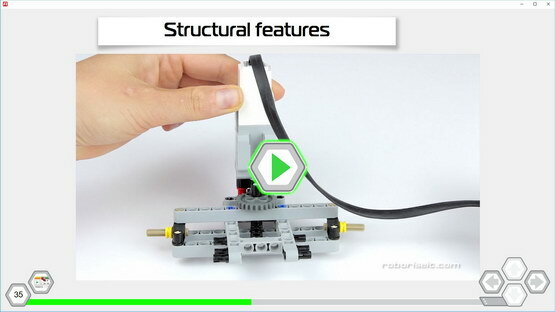 That's why sometimes is very important to create a robot's design that allows to use one motor for two or more different functions. 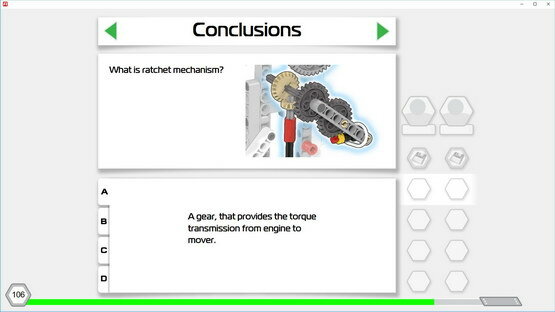 In this lessons we shows how to build such mechanizm. 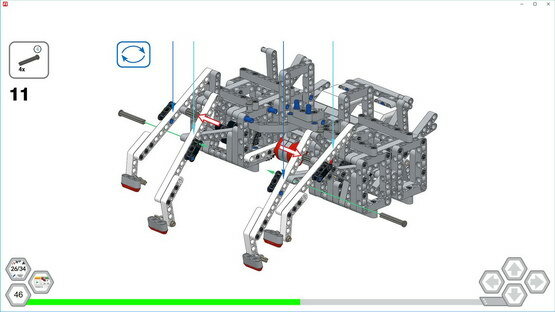 Chassis, created at previous lesson, will be used in this lesson for build the robot with manipulator. 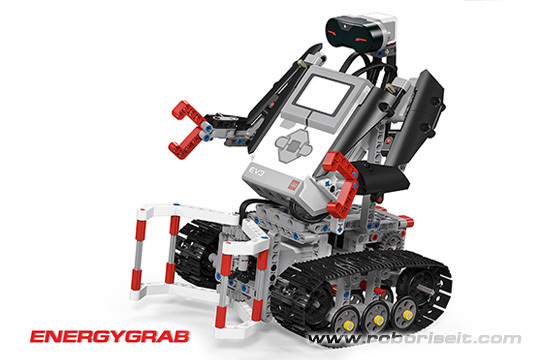 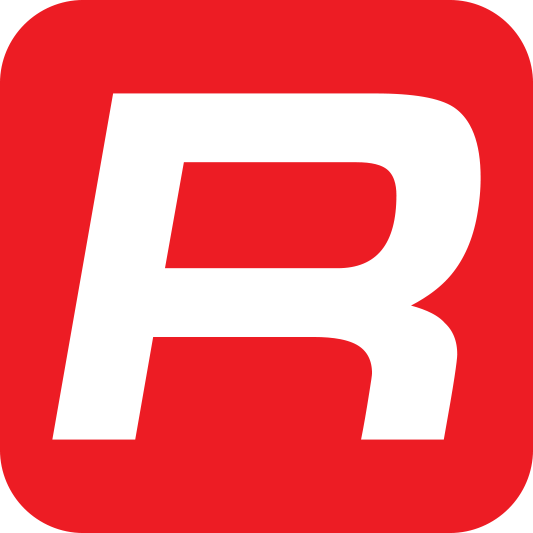 It allows to operate the robot by using a single remote control. 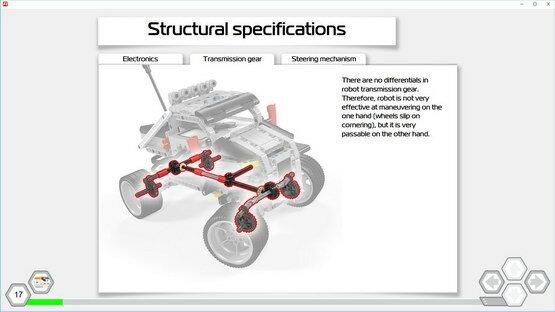 Space frame truss structures are widely used in the building, robotics and engineering. 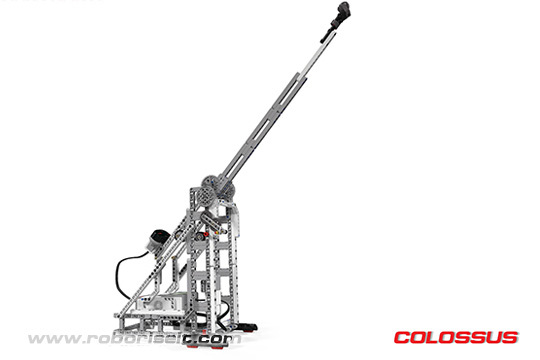 Students will know how to design and build massive robots that has rigid structure. 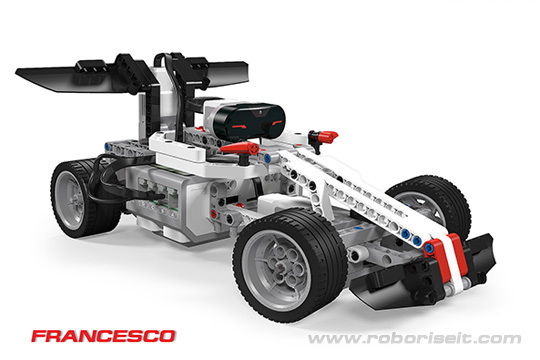 We discuss about creation of high loaded all-wheel drive machines with perfect maneuverability at this lesson. 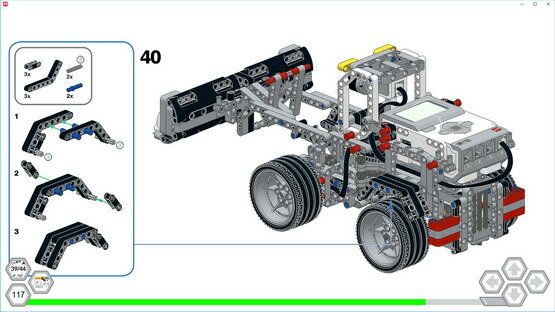 Usually such requirements leads to articulated chassis using. 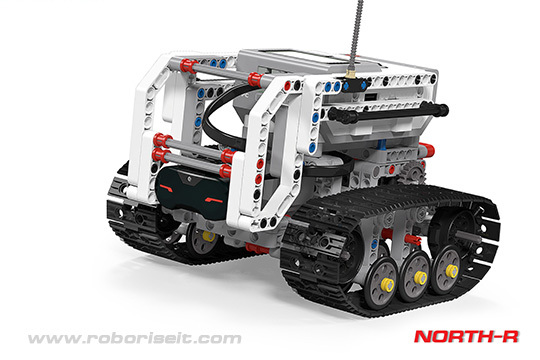 What's why we propose students built and test the robotised wheel loader. 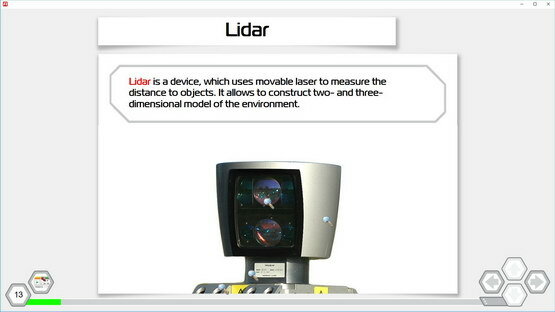 Robots that operates at extreme conditions and on the raw surfaces needs universal propulsor. 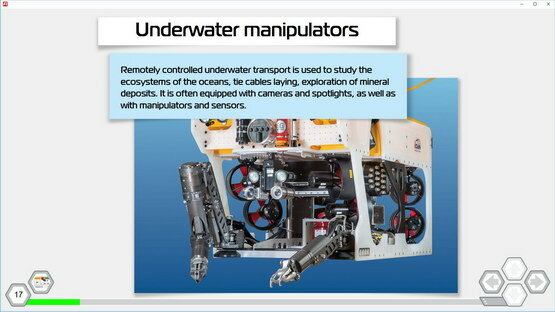 Nature shows the solution af such task as a legs. 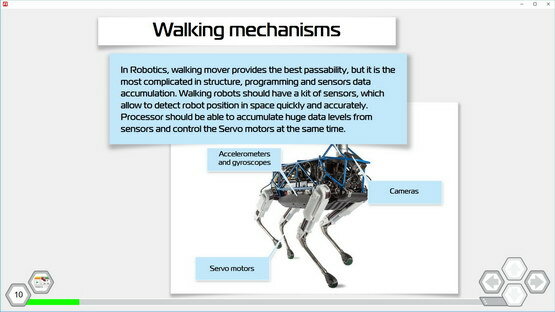 Walking robots has the most complex sensor system and algorythms of work. 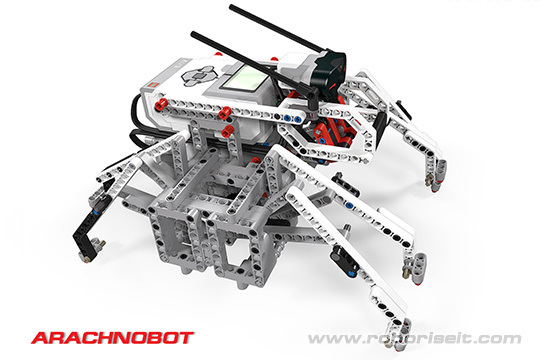 We propose to build and explore the spider robot (remote controlled) that has eight legs. 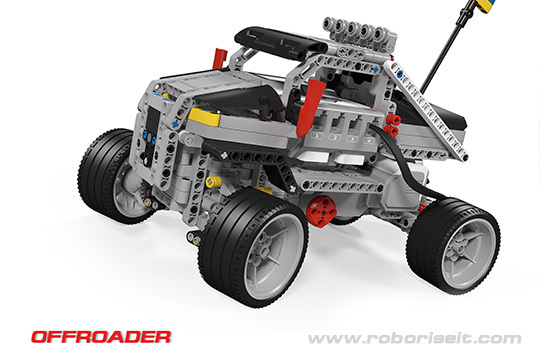 Creation of all-wheel drive robot on automobile chassis from the Mindstorms set is very interesting and non trivial task. 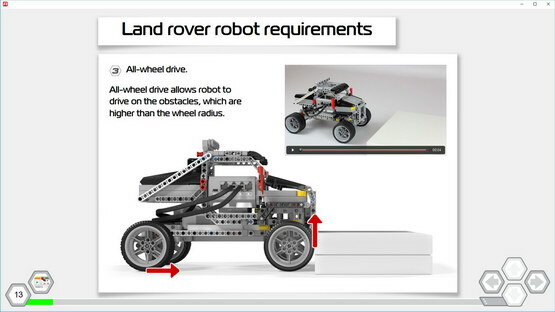 We discuss the features of off road wheeled vehicles at this lesson and the creating of such robot. 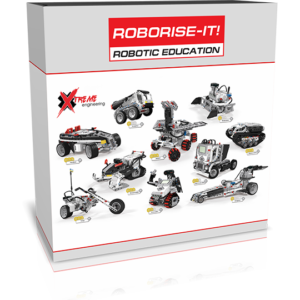 Your students will investigate the robot's transmission and make conclusions about the using of differential gear in such robots. 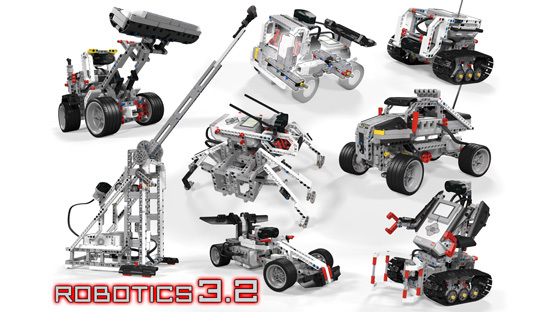 Semi knocked down assembling of the cars and other complex mechanisms makes the process faster and more predictable. 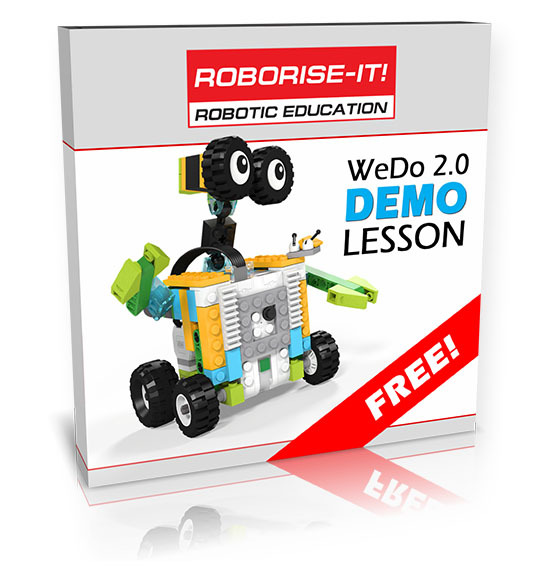 Your students will try to use this method for creating own robot. 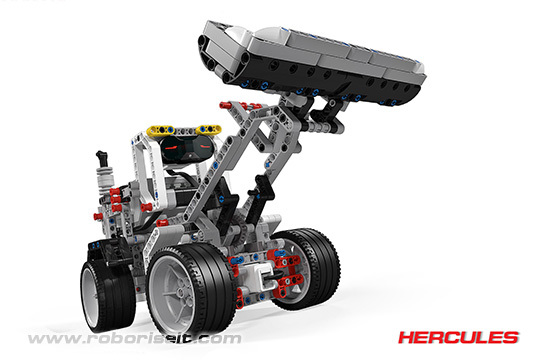 Front and rear axles provided in two variants should be combined and tested in proposed tasks.